Our great country Nigeria was a concept conceived by the great British Empire. There must have been a good reason for the thought. This compliment does not eliminate the fact that the idea had its flaws; however there is every good reason to spare the time to reason through what may have been the strengths behind the thought. There is no gain emphasizing the fact that presently no living Nigerian was consulted through the processing of conceiving or executing this noble idea. Therefore it should be nominally surprising when a majority of us consistently state the fact that if wishes were horses, we would have partitioned a different arrangement as our choice decision of our country Nigeria. However this would be very far from reality as we might end up with as many versions running into numbers the size of our current population. This is another thought for food. It would seem best to accept the reality that we have all been born into by our parents who were very much at peace with that thought. A reality we appear to embrace as a pleasantly natural truth, so much so that we effortlessly indicate Nigeria as bio-data info in the country field of any form we fill. An innate fact we have accepted to the extent that we all bear the Nigerian passport and would vehemently prove our nationality given the appropriate reason. This would imply that there should be no reason to explore any basis to engage in any exercise of realigning the structural design of our great nation. We should rather focus our thoughts on the probable reason behind the noble British assembly which is today our dear country Nigeria. The answers may provide another reason to realize why the wisdom of our great founding fathers were bold enough to accept this design without strong reservations. Perhaps they could see the enormous potentials behind the concept, if managed properly. 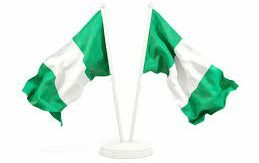 It may not be wrong to strongly assume that the Independence of the Nigerian nation on 1st October 1960 was the proud collective decision of all Nigerians at that time. Leaning on the reason of wise providence, it may be very unwise for any of us to attempt any alteration of this concept. Bearing in mind the abstract nature of the country entity, which is simply a land demarcation and a name, it would be easier to appreciate that it is the citizens that give life to this entity, and their character is what defines the ability of this entity. The truth is that individually, every single Nigerian citizen is a facial variation of the country Nigeria. Currently we are estimated at 180 million, we were estimated at 45 million during independence in 1960, it would be definitely right to assume there was a time in the history of time there were less than 10,000 people within the demarcation that defines Nigeria. 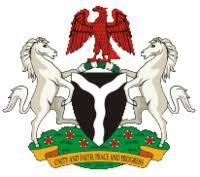 Until there comes a time when there is no one within the demarcation, the country Nigeria, lives. When Nigeria participates in the world cup, it is the vibrant national football team we all fondly call the Super Eagles that is Nigeria on the field of play, with every member of the team and crew, a facial variation of the country. When any of our entertainment celebrities are on stage abroad, it is Nigeria on stage. At the United Nations summit, it is the representative citizen(s) that is Nigeria at the summit. Indeed for anyone, when the opportunity presents itself for any foreign trip, we are all ambassadors of the country; simply a facial variation of the Name. Within the boundaries of the country, we are all facial variations of one massive family, the same principle is found with any family in any home where siblings are facial variations of the abstract family name. These differences can be regarded as a union of diversity with great collective potential. The current impression regarding the identity of Nigeria in the minds of a majority should be flawed to the point that can explain the dearth of patriotic actions within our minds. A Nigerian Patriot knows that he or she is an intricate part of the soul of the Nigerian spirit which gives life to the concept we know as our country Nigeria. The Nigerian Patriot understands that together with other Compatriots, they are the country they live. The Nigerian patriots understand that we are all Nigeria, just different faces of it, and this admission is definitely not a crime in any divine court of Justice. It is the collective strength of our character that defines the strength of Nigeria, and it is our collective weakness that defines the weakness of Nigeria. It is very clear that the National Anthem and National Pledge of our great nation was designed to provide a melodious background reminder of this reality to our consciousness on a daily basis. It is definitely sure that if we could collectively muster the boldness to press the ‘play’ button in the consciousness of our minds, the march toward a dream Nigeria would be a more practical and realistic journey. On these truths and more, I rest my case. Next ›6. Nigeria Vs Corruption: A National Mortal Combat Nigerians Must Win!! !